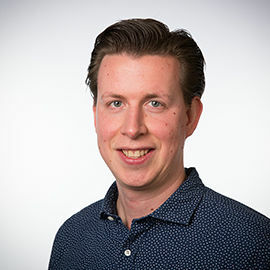 Dr. Ruud Kortlever is an assistant professor at Delft University of Technology (TU Delft) in the Large-Scale Energy Storage section of the Department of Process & Energy. He received his PhD from Leiden University in 2015, working with prof.dr. Marc T.M. Koper on “Selective and efficient electrochemical CO2 reduction on nanostructured catalysts”. Ruud then spent almost two years working as a postdoctoral fellow at the Joint Center of Artificial Photosynthesis (JCAP) at the California Institute of Technology. Working closely with prof.dr. Theodor Agapie and prof.dr. Jonas C. Peters he concentrated further on electrochemical CO2 reduction, setting up and designing analytical techniques for product analysis and developing new electrocatalytic systems for efficient CO2 conversion. 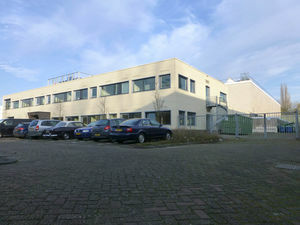 In January 2018 Ruud returned to the Netherlands to start his independent career as assistant professor at Delft University of Technology. His group is interested in electrochemical conversions that are relevant for renewable fuel production and the electrification of the chemical industry. With the help of mechanistical insights, modelling and theory predictions his group contributes to solving contemporary energy problems by developing new electrocatalytic systems and devices.